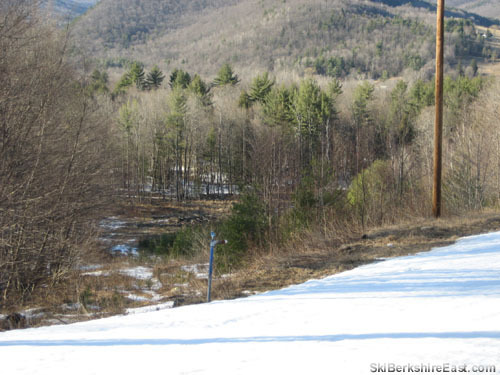 After repairing the infrastructure upon taking over Berkshire East in 1976, the new ownership opted to build a new novice area, as to better serve thousands of beginner skiers visiting via urban bus trips. 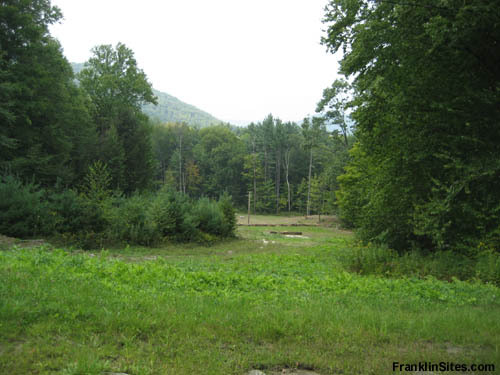 While an open slope on the east side of the base area was considered (the Deerfield River Club condo development would later be built at the base of the slope), three trails were instead cut at the far western end. 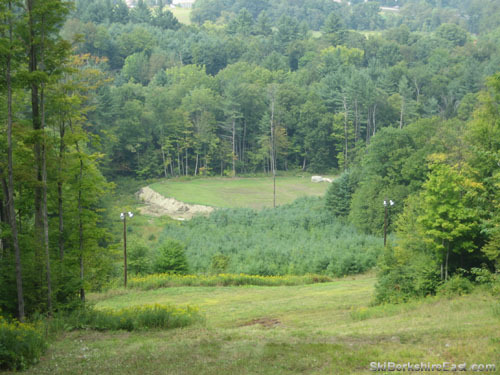 A new-used SLI double chairlift was purchased from a defunct ski area on Mackinac Island in Michigan. 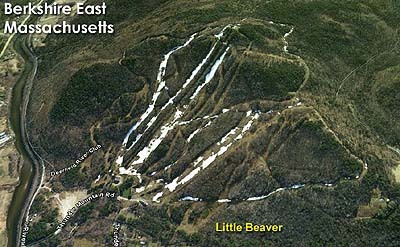 Advertised as 1,000 feet long, the Little Beaver chairlift served three trails - Little Beaver, Snowdance, and Running Brook. By the time the early 1990s rolled around, the area was seldom used, as the urban bus trips seized. 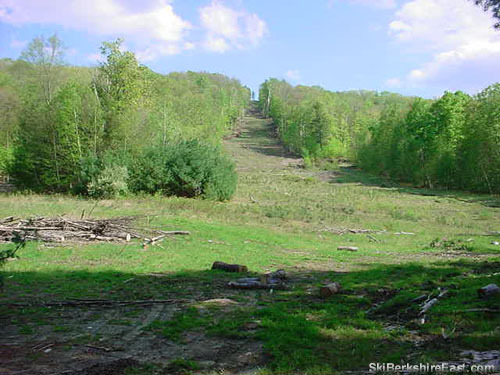 In addition, the relatively remote location of the area (the bottom terminal of the chairlift was below the West Lodge and a very long walk), as well as a lack of snowmaking led to the decline in use. 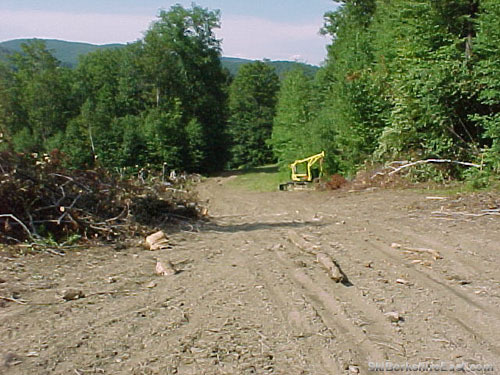 The chairlift was sold to a mid-Atlantic ski area and the trails removed from the 1995-96 trail map. 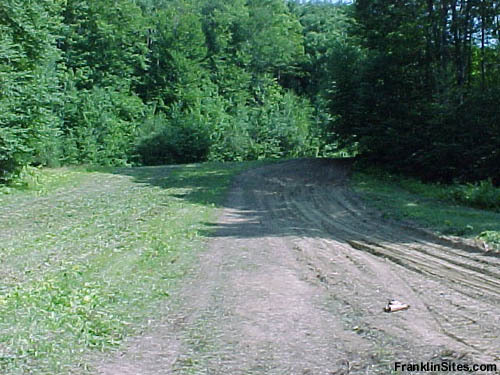 The upper portion of the Running Brook trail would later become the bottom of the Roundabout ski trail. 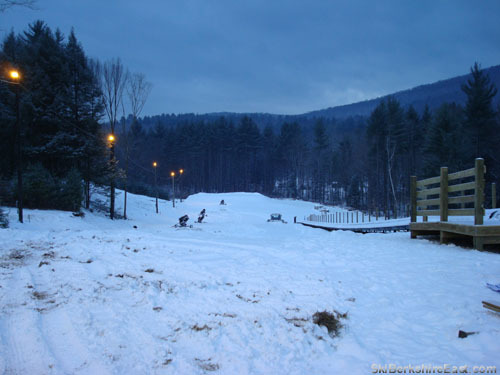 In addition, the lower portion of the Running Brook Trail would become the snow tubing area in 2007.